NEW YORK CITY, NY (CNN) – Federal authorities intercepted several more suspicious packages on Thursday morning, bringing the total to 10 suspicious packages found. 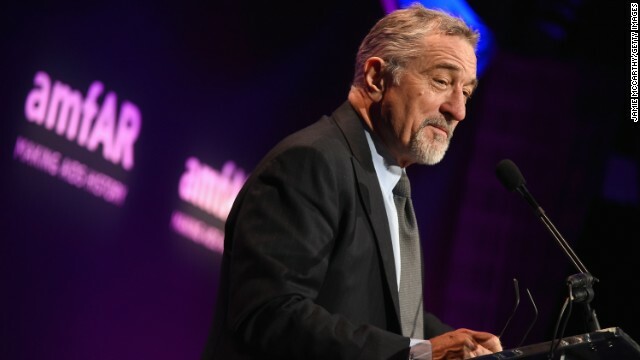 A suspicious package addressed to actor-director Robert De Niro was reported early Thursday at the Manhattan building where his production company is based, and its marking and contents appear similar to pipe bomb packages recently mailed nationwide to top Democrats, two law enforcement sources said. The package, found on the seventh floor of 375 Greenwich St. in New York City’s Tribeca neighborhood, was reported to police around 4:45 a.m. The building contains Tribeca Enterprises — De Niro’s film and television production company and organizer of the Tribeca Film festival — and De Niro’s Tribeca Grill restaurant. Police have sent the package to a secure facility in the Bronx, New York Police Department Commissioner James O’Neill said on Twitter. “The most highly trained experts in the world are investigating today’s suspicious package in #TriBeCa,” O’Neill’s tweet reads. X-ray images show that the package addressed to De Niro contains a device similar to the pipe bombs found in other packages this week that were addressed to prominent critics of Trump, the two sources said. De Niro also is a vocal critic of Trump. The package sent to the actor also had the same return address as the others: that of Democratic US Rep. Debbie Wasserman Schultz of Florida, the sources said. There is no information to suggest she sent the packages. And, just as the other packages, the one sent to De Niro had six American-flag stamps arrayed in two rows. No postmark is visible on the front of the De Niro package, similar to some of the others, the sources said. None of the bombs in the other packages detonated, and no one was injured. Before this package was reported, authorities said seven pipe bombs stashed in manila envelopes were discovered this week addressed to six prominent Trump critics: Former President Barack Obama; former Secretary of State Hillary Clinton; former Attorney General Eric Holder; Democratic US Rep. Maxine Waters (one to her California office and one to her office in Washington); former CIA director John Brennan (sent to CNN’s New York offices); and billionaire investor and Democratic donor George Soros. Authorities also located two suspicious packages addressed to former Vice President Joe Biden in Delaware, multiple law enforcement officials told CNN, the latest in a series of apparently connected packages sent to prominent critics of President Donald Trump and CNN. The packages sent to Biden were considered suspicious due to its similarities to other packages sent this week, law enforcement officials said. The package was misaddressed and returned to sender, two law enforcement sources previously said. The packages were in manila envelopes with bubble wrap interior, the FBI said. Each package had six American flag Forever stamps on the envelope. The motive is unknown, but the recipients are all prominent targets of right-wing criticism and, in many cases, of Trump himself. The package found at CNN’s New York bureau in the Time Warner Center was addressed to former CIA Director John Brennan, city and local law enforcement officials said. The FBI’s counterterrorism division is leading the investigation Thursday into the packages and the agency says it’s possible additional packages were mailed to other locations. At the White House, Trump vowed Wednesday that “we will spare no resources or expense” to pursue the perpetrator. At June’s Tony Awards, De Niro went off-script while introducing a performance by Bruce Springsteen to curse Trump. It wasn’t the first time De Niro had spoken out against the President. In January, his speech at the National Board of Review Annual Awards Gala included a profanity-laced rant directed at Trump.